Newari, a Tibeto-Burman language, is the mother tongue of the Newars, the earliest settlers of the Kathmandu Valley of Nepal. The Newars have long occupied a culturally important place among the Himalayan peoples. Over the centuries they have developed a complex and advanced culture which contains elements taken from both the great Sanskrit traditions of India to the South and the traditions of Tibet and China in the North. In Nepal's literary and historiographic traditions, Newari has a prominent place, since it is the oldest written language of Nepal, and for several centuries, from the end of the 14th century, was the principal Nepalese language to be used in court records, inscriptions and historical documents. Partially because of the cultural importance of the Newars, and partially because Newari is one of the oldest written Tibeto-Burman languages (recently documents written in Classical Newari have been found which date from the 12th century) Newari has been accepted by scholars as a key Himalayan language, and they have long called for reliable reference works on the language. The lexicographic studies of Classical Newari that have so far appeared have been inadequate. The most important, Hans Jorgensen's A Dictionary of the Classical Newari, (Det Kgl. Danske Videnskabernes Selskab, Historisk-filologiske Meddelelser XXIII,l., Levin & Munksgaard, Kobenhavn, 1936) was published more than sixty years ago. This 6000-word Dictionary was based on the limited source materials available to the author, who never traveled to Nepal. Subsequent studies have been limited to glossaries attached to translations and editions of Classical Newari works. In the field of linguistics, Newari has long been considered a particularly important language. It is one of four Tibeto-Burman languages with an old written tradition (the other three being Tibetan, Burmese and Manipuri) and the only member of the Himalayan group with such a tradition. Classical Newari is thus obviously important in the study of the development of the Tibeto-Burman languages in general and the Himalayan languages in particular. A Comprehensive Dictionary would be an invaluable research tool in such study. In the documentation of the history of the Nepal Valley, Classical Newari plays a very important role. From the middle of the 14th-century to the rise of the Shah dynasty, innumerable historical texts (such as inscriptions, tamsuks, vamsaveli-s and thyasaphu-s) were written in Classical Newari, often of a particularly difficult variety. Much of the single most important Nepalese historical document, the Gopalarajavamsavali, is in Newari. In the study of such historical materials, a Comprehensive Dictionary of Classical Newari has long been a desideratum. A Classical Newari Dictionary has evident applications in any study of the rich culture of the Kathmandu Valley. The Newars have played a crucial role in the cultural history of Himalayan South Asia, acting as 'culture mediators' between India, Tibet and China. Any light that can be shed on Newar cultural traditions will help to illumine the cultural history of the entire area. The usefulness of a Comprehensive Classical Newari Dictionary in the study of Classical Newari literature is self-evident. In such study, particularly in cases where there is no recourse to a Sanskrit original, a good Dictionary is an indispensable research tool. To meet this long-felt need a team of Newar scholars got together in 1980 and formed the Nepal Bhasa Dictionary Committee under the aegis of Cwasa Pasa-the premier literary organization of the Newars. This Dictionary is compiled from 96 different manuscript sources, ranging from poetry, drama, narrative texts, moral aphorisms, jurisprudence texts, chronicles, historical diaries, inscriptions to palm leafs, spread between AD 1115 to the end of the 19th century. It gives each attested word or phrase, its location in the manuscript, the date in Nepala- Samvat the national era of early medieval and medieval Nepal, the grammatical label, gloss in English, etymology of the word, the illustrative citation or context of its use, its gloss in English and the modern form, if different from the head or main entry. Cwasa Pasa, a writers' association founded in exile in Calcutta on May 2, 1950, by Prem Bahadur Kansakar and Madan Locan Singh, is the oldest surviving literary organization among the Newars. On January 26, 1980, it formed a 16-member Committee under the Chairmanship of Dr Kamal P. Malla to launch a project to compile dictionaries, both monolingual and bilingual, of both Contemporary and Classical Newari. Perhaps the main inspiration for this project concept came from an American student of Prem Bahadur Kansakar. Mr lan Alsop made a personal donation of US $ 1,000 to Cwasa Pasa. This donation came following a successful collaboration with Prem Bahadur Kansakar in translating into English a very popular Classical Newari text, Canakya Sara Samgraha (Kailash, Vol. VII No 3-4, 1979, pp. 247-317). Alsop had studied Newari language and culture for several years with Prem Bahadur Kansakar, and both had developed a bond not too different from the gurukula of distant past. In the meantime, Alsop had acquired not only knowledge but also love for the culture and language he studied with Prem Bahadur. Between them it was decided to launch a project to compile a Comprehensive Dictionary of the Classical Newari. The founders looked all over the place in Nepal for moral, intellectual and, of course, financial support for the Project. As soon as the Nepal Bhasa Dictionary Committee was formed as an autonomous committee under Cwasa Pasa it sat in several sessions and deliberated and finally, in October 1980, developed a firm Project Proposal. In the meantime, letters were dispatched since early March 1980 to several scholars and well-wishers in the United Kingdom, the United States, Europe, Australia, and Japan seeking support, advice and comments on the project proposal. Many sent comments, assurances of support and helpful suggestions on where to look for financial support. Among many well-wishers were Professor Kitamura and Professor Hiroshi Iishii of the Tokyo University of Foreign Studies, a student of Prem Bahadur, and Professor Yoshiko Nishi of the Christian University of Tokyo-a widely known scholar interested in comparative and historical studies in Tibeto-Burman languages. It was they who recommended us to contact the Toyota Foundation of Japan, and with the help of their good offices we came in contact with Miss Kazue Iwamoto of the International Division of the Toyota Foundation, Tokyo. In May 1982, Miss Iwamoto came to Kathmandu to discuss our proposal with us. Miss Iwamoto is a young lady with a deep sympathy for the indigenous cultures and languages of Asia and an equally deep understanding of the aspirations of scholarly communities struggling to study and preserve them. It was through her good offices and profound goodwill that, finally, our dream of compiling and publishing a dictionary of Classical Newari came true. When the Project for a Comprehensive Dictionary of the Classical Newari was first conceived and formulated in 1980 by the NBDC it was visualized as a long-term and ambitious enterprise, consisting of three phases, each phase lasting a few years. Phase I was to be focussed on the Lexicon drawn from the bilingual Amarakosa sources. 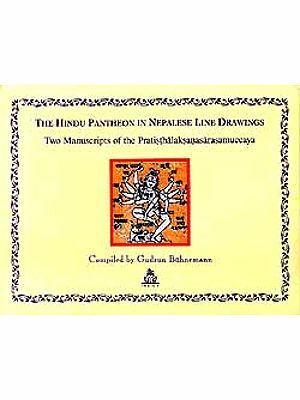 Phase II was to be A Dictionary of the Literary Newari, based on manuscripts of poetry, drama, narratives, law and moral texts, and historical sources, including legal documents, diaries, and chronicles. Finally, Phase III was to consist of the Dictionary of the technical and ritual language and other miscellaneous texts. The Phase I was launched in January 1983 with the first initial research grant made by the Toyota Foundation to compile a Newari Lexicon based on the Amarakosa sources on a pilot project scale. It was to last 18 months, but even a preliminary compilation from 10 manuscripts took full three years. Based on the experience of this pilot project, the Committee filed two applications-one to the Toyota Foundation for support for compiling a Dictionary of the Classical Newari (Phase 11) and another to the National Endowment for the Humanities to edit the Lexicon Material collected by the NBDC in 1983-85. As both the agencies decided to make grants to the Project, the two activities went on side by side for some time. Soon a number of problems were discovered in the Lexicon corpus, and it was decided to redefine the goals of the Lexicon Project in terms, not of editing, but of recompiling the material in two separate files: a Concordance of all the Amarakosa manuscripts in semantic blocks and units so that the historical evolution of Newari glosses could be systematically traced, and secondly, a Lexicon of Newari together with an index and searching facilities by various discrete fields. With these clear redefined goals, the Lexicon recompilation was begun in July 1986, and with an eight-year financial support of the National Endowment for the Humanities, USA, it was, for all intents and purposes, completed in December 1998. It is basically a bi-lingual lexicon of Sanskrit and Newari with supporting evidence from modern Nepali and English glosses. One can search for any word, and if it is there in the file, its use in all the attested contexts of the source manuscripts can be downloaded. The Concordance, therefore, is more reliable and valuable than the Lexicon in which the English glosses were supplied by Kashinath Tamot. Both were edited by lan Alsop with the help of Gurushekher Sharma, Kashinath Tamot, Saraswati Tuladhar and Omi Sharma and the computer programming support from Mary Church of Santa Fe, USA. The total corpus comes from the eleven bilingual Amsrakosa manuscripts dated approximately at a chronological distance of 50 years each between N.S. 501/ A.D. 1381 to N.S.831/A.D.1711. It consists of 26,973 words, including duplicates, inflections, and Sanskrit loanwords compiled from 2,046 total folios of the manuscript sources. The Phase II of the Project began on January 1, 1986 and ended on December 29, 1999-exactly fourteen years later when the camera-ready copy of the Dictionary was delivered to the printing press. The Project took more time, efforts and resources than was calculated at first because it was compiled and edited on a trial-and-error basis. It was funded all through by the Toyota Foundation between 1986-92 for six years for research, compilation and editing and a publication grant made in 1994. Between 1992-99, for seven years the Project was run from the interest earned by depositing all the Project savings in a fixed project account. This Dictionary is the final output of Phase 11 of the Project. The Phase III of the Project was to be the Dictionary of ritual and technical vocabulary to be drawn from medicine, mathematics, astrology, astronomy and ritual texts which we deferred till the end, not because the sources were scarce, but because they were complex and abundant, requiring more specialized knowledge of these fields than the previous efforts at compilation from literary and historical material. The variety and number of manuscripts in these domains were too tantalizing. Selection of the source materials is itself a challenge of the first order-particularly from the ritual texts. We may still have some experts and technical specialists among our generation though truly knowledgeable experts conversant with older texts are an endangered species in our society. Because of a gradual decline of the knowledge of the Sanskrit language, learned specialists are a vanishing species in Newar society--thanks to modern education! Those who have, in a way, survived the sweeping cultural and social changes are not willing or able to help the aspiring lexicographers. This has, on the one hand, impressed upon us the urgency of the onerous task and, on the other hand, it has exposed the helplessness of our team. This is so, not only because we do not have any immediate financial resources to launch such a Phase III, but also because available human resources within and outside the Committee are slipping out of our hands very soon. Descriptive labels such as 'Classical Newari' or 'Contemporary Newari' can be misleading because there is no clear-cut chronological date-line that can be set for either. Although it is customary to speak of 'Contemporary' or 'Colloquial Newari' as the form of language in use only since the beginning of the twentieth century (or since Newari adopted the Devanagri script for printing and type-setting) we have documentary evidence of spoken forms or colloquial Newari at least since William Kirkpatrick's 600 word-list, Hodgson's word-lists, or in the Dictionary compiled by Father John Gaulbert in the 18th century. Colonel William Kirkpatrick (1811: 221-249) gives the following forms: khooen = a bone; loe = a disease; phye = air; ghupa = the neck; and laha = the hand. 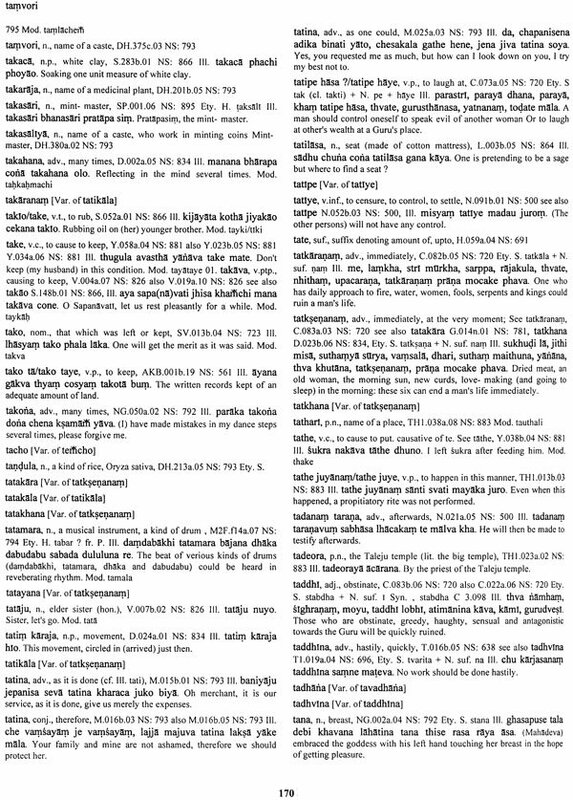 These entries in the Kirkpatrick word-list incontestably prove that the loss of medial and final syllables-the so-called phonological characteristics of colloquial or contemporary Newari-had already taken place much before the 1790s although the scribes continued to persist with the older written or literary forms. On the other hand, a sample of the Newari language, i.e., the Newari version of the Parable of the Prodigal Son, as reproduced in the Linguistic Survey of India (1909: 224), clearly shows the persistence of several verb or adverbial forms (such as dasysm cona, dasyemli jwanave, dhakam dhala, khachikhaca, etc. ), which are undoubtedly conservative strata. If this is one side of the inherent conservatism of Newar scribes, the other side of the story is even more instructive. Jorgensen's Dictionary and Grammar make use of a Narads-Smrti manuscript (The British Museum, Or. 8) which is dated NS 820/AD 1699. If we go by its colophon it must be classified as a 'late' Classical Newari manuscript. But it is clearly a copy of the Narads-Smrti of NS 500/AD 1380, and all the structural and linguistic characteristics of the manuscript discussed by Jorgensen in his Grammar, especially p. 7, are identical with the linguistic characteristics of NS 500 manuscript. So colophon dates are not necessarily the infallible signposts for linguistic chronology of Newari. The internal and structural evidence that can be pieced together from phonological or phonetic differences, morphology, syntax and the structure and sources of the vocabulary alone show possible tangible evidence for "periodisation" of linguistic strata or change. Has a sound A (vowel/consonant) changed into sound B-regularly and consistently in the later or different ones Has a Form A changed into Form B? Has Structure A (phrase, clause, grammatical unit) been replaced or displaced by Structure B? Firm answers to these, questions alone can justify "periodisation" in historical linguistics. One reason why we have given orthographic variants for the earliest attested forms of the head entries or all the so-called inflected forms of verbs together with their variants and allomorphic suffixes is to simply document the available data rather than to make heavy and sweeping generalizations about "the original form" or "the etymon". More rigorous methods and logically sound historical analysis may be necessary before we can make valid statements on different strata or stages of the Classical Newari. All we know at this stage is that Classical Newari is not a single homogenous monolithic stage nor a variety, dialect or stylistic label. It was to a certain degree bound to be .... a historical grammar, since the manuscripts on which it is based, range from the fourteenth to the nineteenth century, and the natural changes in the language during this period have to some extent been reflected in these. The term "Classical Newari" need not, therefore, mislead the readers in yet another sense of the term. Unlike Classical Sanskrit, Classical Greek or Classical Arabic or 'Classical literature', it does not in any sense represent "a standard" let alone "the standard" or the level of excellence in writing. On the contrary, the Classical Newari writing-orthography and grammar-both show a lot of inconsistencies and multiplicity of non-standard forms or even illiterate or semi-literate forms of language use, particularly in the loanwords from Sanskrit or the New Indo-Aryan languages. We are using it only as a convenient term at this stage of our knowledge of the language-convenient to distinguish it from the Colloquial Newari. We, more or less, know what changes have taken place in between, but we do not yet know enough what changes took place within the Classical Newari or whether they are real temporal changes or mere spatial variations-variations of individual dialects, (social/regional) or evidence of diaglossia (high style/ Iow style). 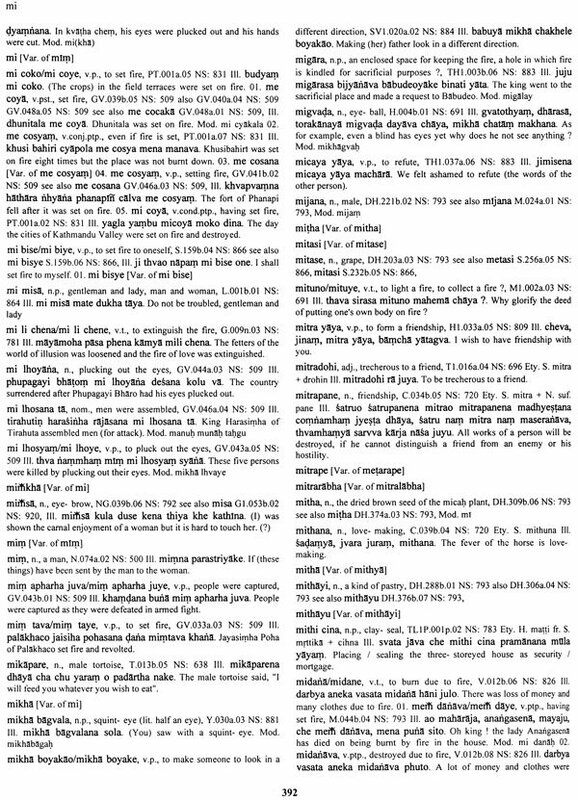 Except for some manuscripts sources (listed elsewhere) words are compiled by a compiler from the Nagan transliteration. Words or lexical items were compiled either from photos or photo-prints of the manuscripts or from the Nagart transliteration. The compiler enters the headword/and phrase and where possible (s)he assigns a grammatical label, an English gloss for it, and notes down the folio and line number, the manuscript siglium, and the illustrative citation and an English gloss for it. (S)/he also gives an etymology, where possible and the modern form, if different from the older form. This is, of course, the ideal situation. However, in actuality not all compilers entered all these pieces of information on the cards they filed. For the first batch of 20 manuscripts, the Chief Compiler went through these cards compiled by his associates, and checked, completed and finalized them with his own analysis and interpretation. Once the manuscript is through the card compilation phase, it is accessed on the computer. A hard copy file is prepared out of the card file. For the convenience of checking, a straight copy is prepared according to folio and line sequences. This version is checked at least three times by three different editors for transliteration check. Then alphabetization of the card file takes place and an alphabetized version of the hard copy file is prepared. It is this version of the hard copy of an individual manuscript file which is handled by the Editor for lexical and substantive editing. He checks the accuracy of English gloss, grammatical labels and illustrative citation gloss and etymology. Since accuracy of roman transliteration is vital for the interpretation of the lexical item, transliteration editing is done by several hands for at least three times, and in some manuscripts as many as a dozen times. Once the individual manuscripts files are through this process of rigorous transliteration check and substantive editing they are merged into a single Draft Master File. Three different kinds of Draft Master Files were prepared for integrated editing (1) the Master files of Verb Material (2) The Master file of Entries with Sanskrit or' Sanskrit-based etymology, and (3) The Complete Master File without sub-entry, embedding, associations of duplicates and orthographic variants. It was in the last kind of Draft Master File that computer editing of duplicates, variants, and sub-entries is done by application of various codes, including the recall of illustration citation from one entry to others. In order to maintain uniformity and consistency in grammatical labels, all the labels were searched through computer. A secondary stage transcription check of roman transcription was carried during 1990-92 by two or three different hands. We can only say who the initial compiler was for each manuscript, but very rarely would the initial compiler have provided all the 7 necessary details-lexical, grammatical, etymological and other textual information on the card. It was at several later stages of transcription, lexical, and subsequent editing that most often than not the gloss for the headword and the illustrative citation was supplied and glossed by the Editors. The assignment of grammatical label for the headword and its etymology (if it is from Indo- Aryan sources) are the most fundamental works. For not a single manuscript all these crucial tasks were completed by the initial compilers. So manuscripts cannot be ascribed to a single member of the Compilation Team nor the Editorial Team. For anyone interested in either the details of the compilation, computation and editing process of the Dictionary, the NBDC has preserved all the 35,000 cards and 258 hard copy files in which proof-reading and editing by several hands are accomplished, and they can be dug out for review of this collective accomplishment. Although each manuscript can be assigned and ascribed to an individual compiler, each file or word, however, had passed through several stages of editing, and in the true sense of the term, it is a team or collective output rather one man's brain child. 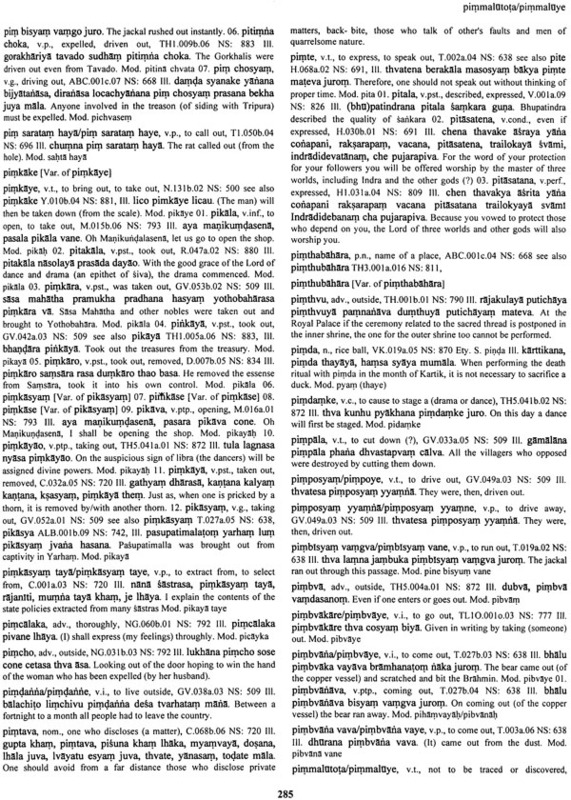 A manuscript is transliterated into Devananagart by an individual but a word compiled from it is romanised by a different person; word processing is done by yet another and it would have passed through different hands at different stages of editing at the level of individual file, if not at the final stages of single Master File merging all else. When all files were merged head entries are either embedded or cross-referenced with other head entries so that many entries did not appear at all in the final version. Unless one decides to include every single item in the text indiscriminately, what to include or what to exclude from compilation from any text is not such an easy or simple decision as it appears. That this involves a great deal of judgement and/or discretion is obvious from the following questions posed by the Compilation Team to the NBDC or the Editorial Board as it began to embark upon the compilation work from the all-important historical text: the GV. The questions were: (a) Should we compile numerals and chronograms used for epoch?, (b) Should we compile the astronomical data such as month, paksa, tithi, vara, naksatra, yoga, vets, etc? ; (c) Should we compile personal names, place-names? 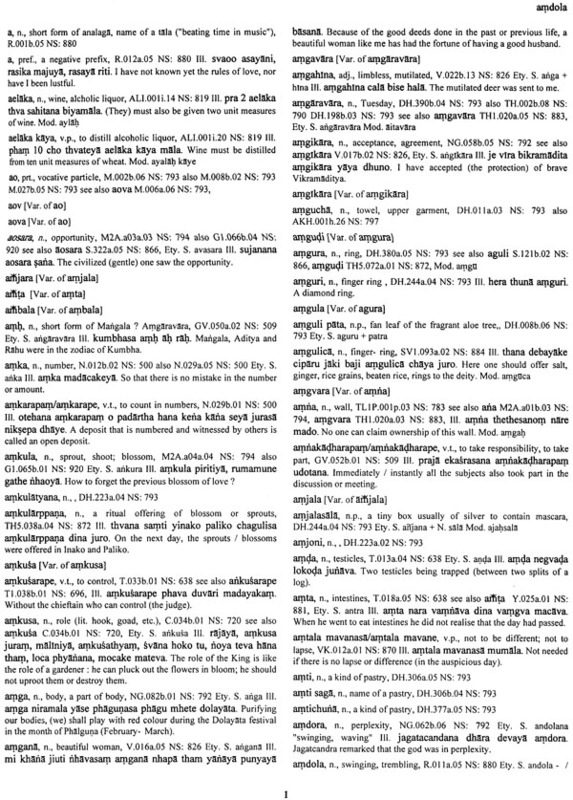 (d) Should we compile Sanskrit words from the Newari portion of the chronicle? (e) Should we compile duplicates of words in different syntactic contexts? (t) Should we compile incomplete, illegible, doubtful words? (g) Should we give illustrative citation for each word or each instance of its use? (h) Should we repeat words already compiled in the Lexicon Phase or in other texts in the Dictionary Phase? (i) Is it necessary to translate each illustration citation into English? (the Chief Compiler's Note to the Chairman, NBDC, Feb. 14, 1988). When the Assistant Compiler, Tulsi Lal Singh, finished compilation from the GV on Dec. 27, 1988, there were 2150 words in the file, out of which 243 were personal names and 300 place-names. While the NBDC decided to retain place-names it decided to discard the personal names, thus wasting all the time, efforts and resources that had gone into these compilations, all of which could have been spared had there been timely decisions or clear policy guidelines on what to compile. This is true also about other manuscripts compiled prior to 1988/90, particularly H, D, SV, SV1, T, HI, R etc., in which there were substantial portions of classical or popular personal and place-names, later discarded from the corpus after preliminary lexical editing. After having said all this, in retrospect, the crucial decision in dictionary compilation: what to include and what to exclude? which words to compile and which to leave out? - was left to the personal judgement and discretion of the assistant compiler(s) or associate compilers, although in the case of about 20 manuscripts the Chief Compiler marked the words/phrases to be compiled from the Nagart transliteration. In the case of the 18 major manuscripts it was his personal judgement. In the case of 4 others it was, perhaps, partly his judgement and partly the personal discretion of his assistants. In the case of the remaining sources - the historical diaries, the inscriptions, the palmleafs, the colophons etc., it was mainly the work of T.L. Singh. That such decisions are not as easy as it may seem, would be evident from the questions that were put to the NBDC and the then Editorial Board by the compilers when they were about to launch compilation from one of the key manuscripts - the Gopalarajavamsavali. Although editorial decisions had been made on case by case basis since September 4, 1986, in a piecemeal fashion, it was only on Jan 10, 1990 that a single integrated editorial policy document was prepared. In September 1994 a new and updated version was prepared by Kamal P. Malla. This document, together with the Manual for Editing the Dictionary Master File (prepared by Ian Alsop on Feb 27, 1992) became the foundations of the editorial work. As editing progressed many deficiencies in these documents came up. For example, not all verb roots had attested infinitives. So for some verbs, citation forms had to be "reconstructed" to embed all the attested inflected forms as sub-entries. So a new field had to be created. With the help of this field, a citation form was given after a slash/oblique, giving the attested form as the main entry. Between March 1992 and May 1995, for three years, the project faced several software problems in the Draft Master File. To begin with, the file entered into a loop from which it could not get out of first 35 pages! When we entered the codes and merged the files, the hard copy came out with reversed verb entries, i.e., the sub-entry as head entries and head entries as sub-entries! In one version of the Draft (Version 5), the sub-entries were in a disturbed sequences with one sub-entry left out! In fact, it was only in Version 6 (May 22, 1995) that a proper draft took shape in which Ian Alsop's Manual could be used. It was only in this file that the chronological problem (the earliest dated entry as Head Entry and the Main Entry with later dated entries as duplicates and orthographic variants) was tackled and code editing was done properly for the first time. The output of this Draft Version was Draft Version 7 (Jan 24, 1996) which was used for editing the gloss, grammatical labels, etymology etc. So it took the project 4 years to resolve software problems and 3 more years to edit the Draft File and to concentrate on substantive editing. During all these years, Omi Sharma worked on computer and the Professional Computer Systems supported the Project with greatest patience.